Pumps and Heels are a HUGE part of Kate’s Closet….however not all of us can wear pumps as high as hers…or we don’t even know where to start. Going from NO HEELS to FULL BLOWN platforms is SUPER difficult (Or Rather Impossible)…and not at all the way you should train your feet. 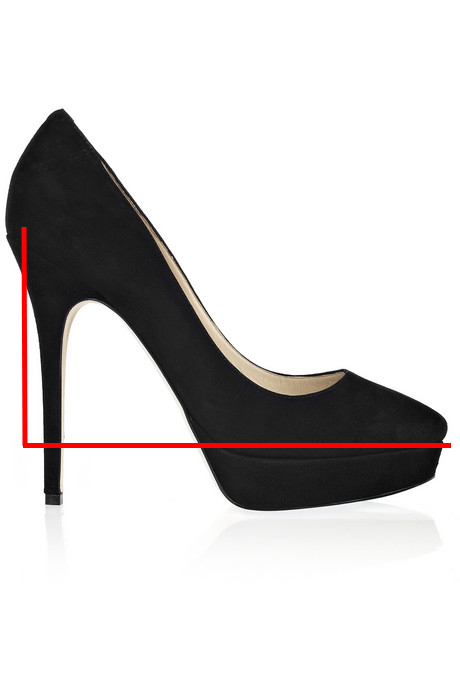 If you don’t have the muscle memory, walking in heels and simply standing in them is SUPER difficult. 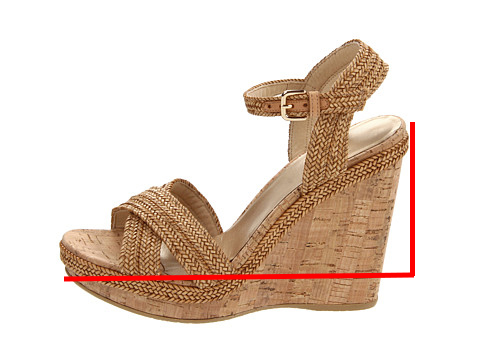 A wedge is the perfect way to bring height to your outfit, especially something like the Pied A Terre Imperias. They have a 1/2″ lift, reducing the overall pressure applied to the balls of your feet and still giving you support to your ankles. Unlike high heels, wedges disperse your weight along the entire base of the shoe instead of one small point (like Kate’s Sledges), thus making it easy to walk and stand with EASE. 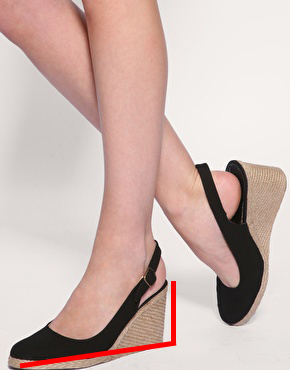 If you are new to heels, start with wedges, they are the easiest to walk in. If a 3″ heel is still too high, you can always give yourself a little more support by inserting pads to the interior of the shoe. 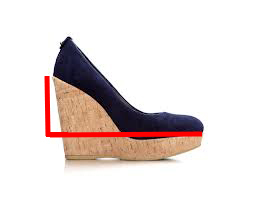 Once you have worn wedges and feel comfortable walking and standing in them, you should be able to upgrade to a heel in the same height (just removing the wedge from the equation). 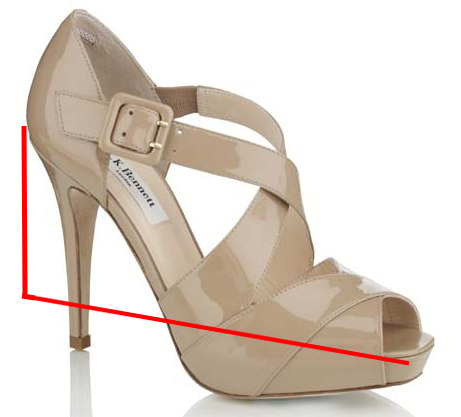 Now you are allowing your feet to find balance in a small heel. 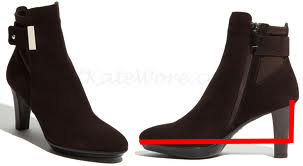 Kate’s Aquatalia Royal/Rhumba/Zipkin Boots are a PERFECT example of this type of shoe. These pairs have a small lift with a rather basic heel (which is thicker than the average court shoe…still dispersing weight comfortably). 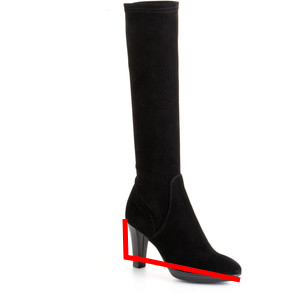 One massive difference between the Aquatalias/Stuart Weitzman and the Piede a Terres is the overall support across your foot and ankle. With boots, you get support EVERYWHERE :). When I began training my feet, I wore nothing but my Pied a Terres and my Aquatalia Royal Boots…before you know it I was able to wear even HIGHER heels :). Now that your feet (arches/ankles/in-steap/balls of your feet) have gotten a better feel for the incline…. IT’S TIME to put them to work!!!! The L.K. Bennett Sledges have what we need when it comes to the look of a Platform Pump but aren’t actually as high as they LOOK (perfect for high heel trainees). 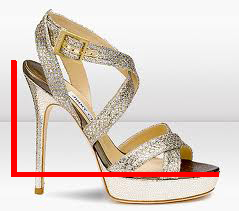 Your feet will be strained a little more in this kind of shoe, mainly because you now have 1/2″ higher than of an incline. Take your time with these, and focus your weight on the balls of your feet and NOT your heel…this will strengthen your calves/ankles and give you some muscle memory when it comes to walking in these types of shoes. There are only 2 styles of shoes that Kate owns, that I am STILL trying get strong enough for….she seriously makes them look easy! 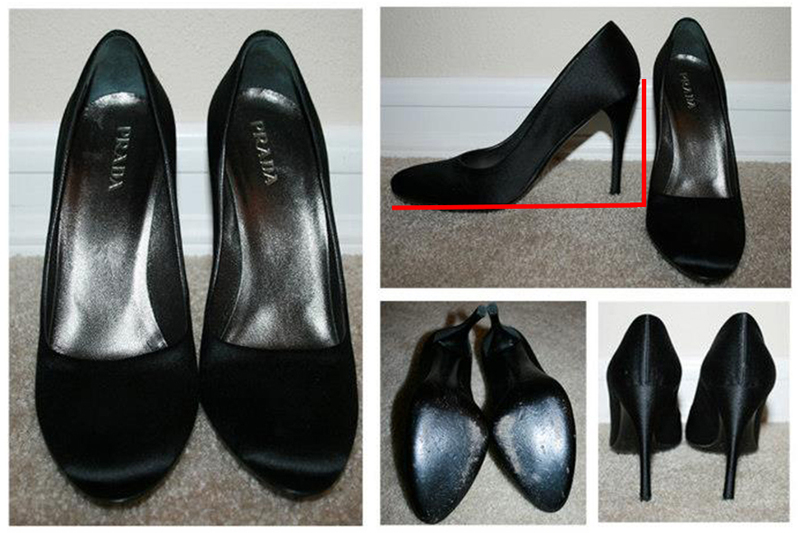 and that’s the PLATFORMLESS Prada pump (and the Jimmy Choo Cosmics…). Without the platform, the balls of your feet and ankles are taking the brunt of the work…Using the Dr. Scholl’s inserts will help :). And of course training yourself to walk on the balls of your feet. Exercises to Strengthen your feet! 1. HEEL RAISES – Lift off of your toes, raising your heels. Works your calves and ankles. 2. TOE RAISES – Life off of your heels, raising your toes (the opposite of the Heel Raise). Works the front of your ankles. 3. RUNNING – Strengthens your legs. 4. BAR METHOD – Basic ballet warm-up routines are the PERFECT way to strengthen your feet. Given these ladies dance on their toes…I think this is a great place to start. This entry was posted in Shopping Smart and tagged Aquatalia Rhumba Boot, Aquatalia Royal Boot, Dr. Scholl's Supports, how to walk in heels, How to wear heels, Jimmy Choo Cosmic, Jimmy Choo Vamp, Kate Middleton, LK BENNETT SLEDGE, LK Bennett Sliver, Pied a terre Imperia, Prada Satin Pumps, Stuart Weitzman Corkswoon, Stuart Weitzman Minx Wedge, Stuart Weitzman Zipkin Boot. ← NEW COLLAGE IS UP! & A COMPETITION UNDERWAY! A great article Brittany! I’m definitely adopting some of those ankle exercises now that Spring is nearly here in Australia and I’ll be whipping out my wedges to wear with my sundresses. Last spring a had nasty fall when wearing my non-supportive slingback wedges for the first time … I’ve learnt my lesson! Another point to remember is “aspect ratio”. 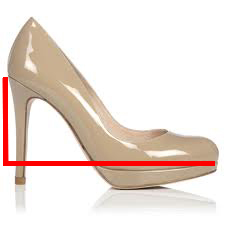 Being a size 5 I have less area to distribute the pressure of a 4″ heel, for example, compared to somebody who is a size 10.
cannot wait for another post of yours! Good thing that I do ballet! Maybe that will help with higher heels!